SW regional competition. 4 German Shepherds enter 4 First Places received. Every year the southwest regional competition is organized in the United States for the different breed of dogs. In this competition, various dogs participated to gain a proper rank and 4 German shepherd dogs from Topshepherd.com also participated in this competition. All the four German shepherds who participated in this competition secured the first 4 places in the competition. Yes, you are this is absolutely correct. Our German shepherd dogs are not only intelligent but they also have winning capability. They have the talent to win the competition because we trained them with lots of efforts and discipline. The Topshepherd kennel is a community which is located in Temecula and has numerous types, variant, and breed of German shepherd dogs. Topshepherd has puppies and adult dogs as well. They have experienced dog breeder who takes care of German shepherd health, diet, vaccination and other things. 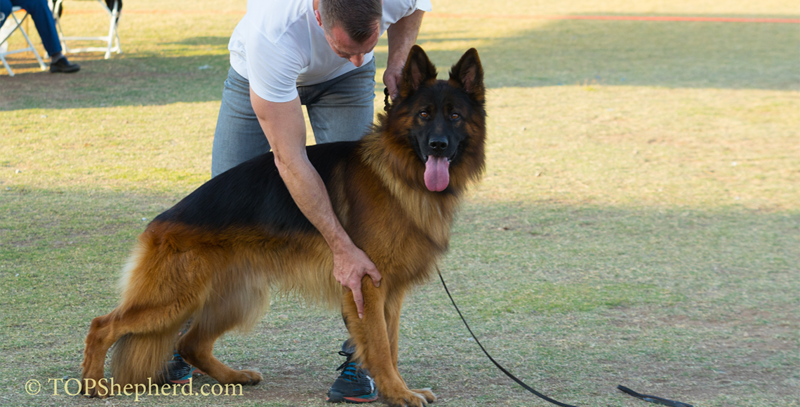 Topshepherd provides a proper training to their dogs and makes them ready for competitions such as southwest regional competition and American kennel club competition etc. Topshepherd is in this field for more than 25 years and they have numerous happy customers. The main aim of Topshepherd is to provide a healthy, trained and smart dog to those who want to keep him with them. Southwest Regional competition is a competition organized in the United States which is held between the different breed of dogs. In this competition, numerous characteristic and criteria are judged and on the basis of those criteria, the number dog is awarded. In this competition, the top 4 places are secured by the 4 German shepherd dogs of Topshepherd. So, if you want to purchase a German shepherd dog then Topshepherd is the perfect and right choice for you. Contact us for your favorite breed of dog.